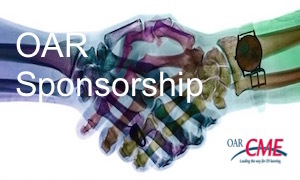 Since 2007, more than 7,400 radiologists, technologists and related specialists from throughout Ontario and across Canada have attended 56 OAR CME events. 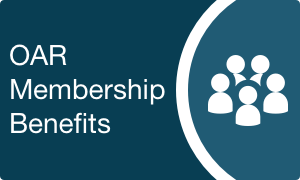 The OAR brings in renowned keynote speakers who are the best in their field and promotes Canadian academia to develop practical and cutting-edge CME programming. All programs incorporate new information, refinements in curriculum and changes to clinical practice guidelines in collaboration with multi-disciplinary medical professionals and association. The introduction of live webcast CME's has revolutionized the way radiologists and technologists consume continuing medical education courses. They now have have the ability to watch OAR CMEs from the confort of your own home and at their convenience. Engage, Promote, Partner with the OAR.